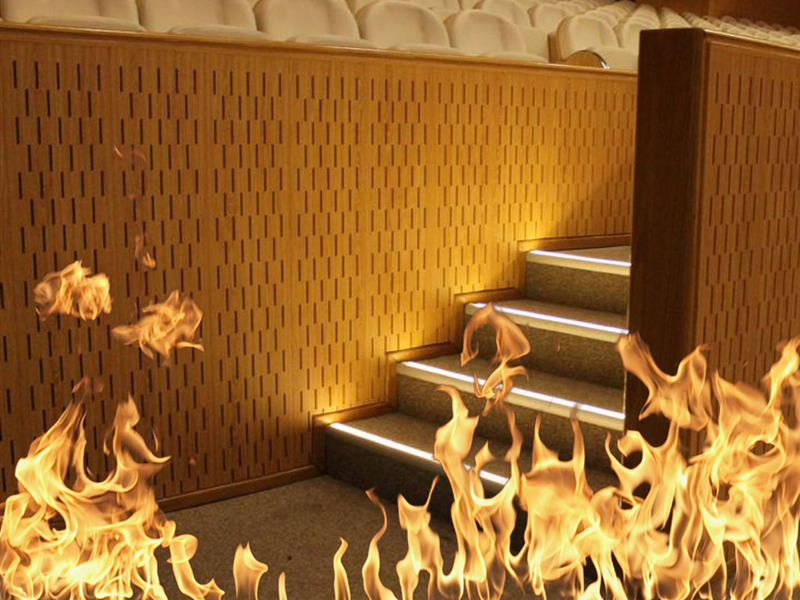 In daily nomenclature, reference is made to flame retardant acoustic panels as those that perform under or react to fire in a special way. These acoustic panels with improved fire performance can be classified according to the Euroclass system, harmonised in Spain through Royal Decree RD 312/2005 (modified by RD 110/2008) by which the fire classification of construction products and construction elements was approved according to their reaction properties and resistance to fire. A main class regarding its contribution the fire: establishing a classification A1-A2-BCDEF where “A1” is the best reaction because the product does not contribute to the fire when there is no generalised sudden combustion does, and “F” the worst since it does not have any fire resistance. 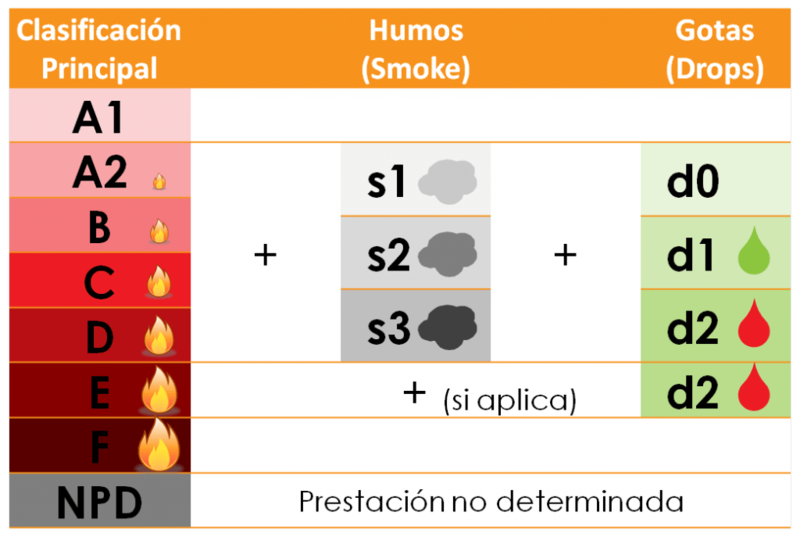 A subclass regarding the opacity of the fumes produced: establishing a classification s1-s2-s3, where “s1” represents the lowest values ​​in smoke emissions, and “s3” the worst. A subclass regarding the emission of droplets and/or particles: establishing a classification d0-d2-d2, where “d0” is the best value and “d2” is the worst.